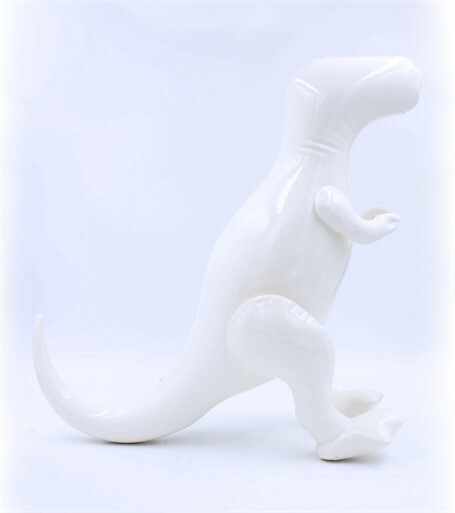 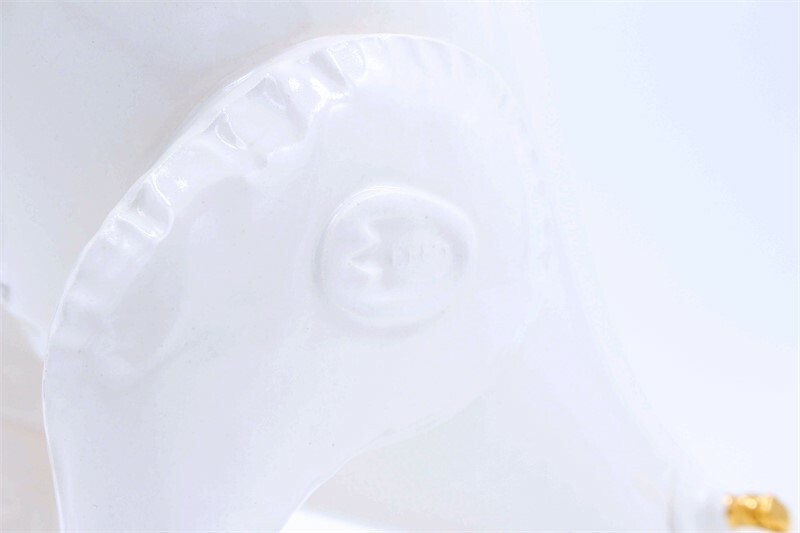 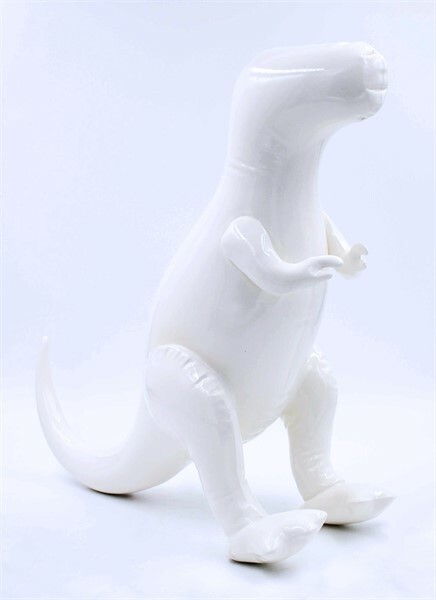 Although it looks inflatable and soft, the dinosaur is ceramic. 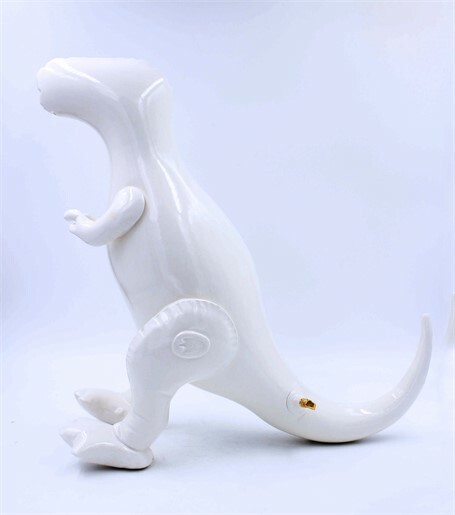 Plug is ceramic with gold luster. 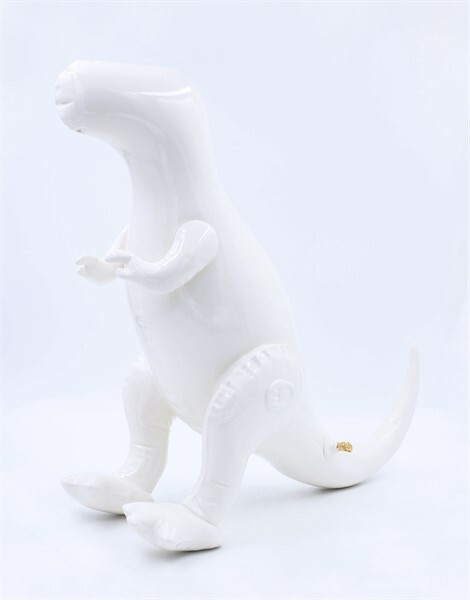 Each dinosaur is hand-made individually and may vary ever so slightly from the one that is pictured.